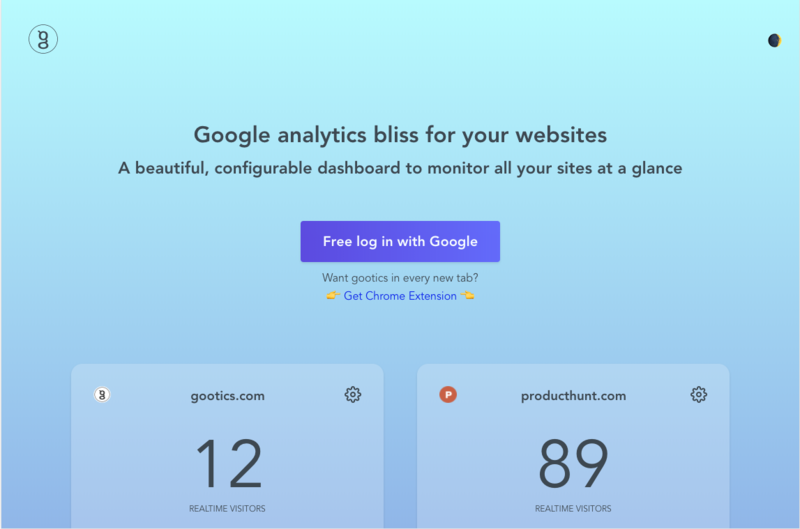 "Gootics shows you the most important google analytics stats for all your websites on one beautiful, configurable dashboard. Get your realtime visitors, goals, events and revenue data on a glance without digging through multiple views and properties on Analytics. If you want in every new tab."